Best Collections of Free WordPress Themes for Educational Websites. 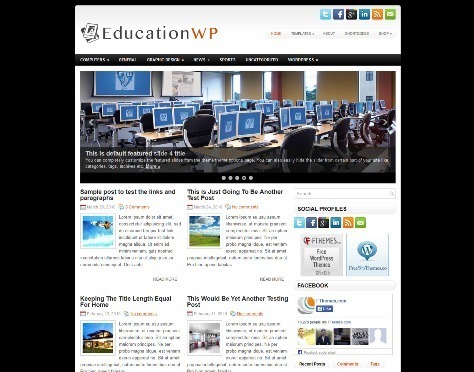 EducationWP – The ideal solution for anyone looking for a education website or blog which is easy to update, professionally built and comes with free support, the EducationWP is the best option available. 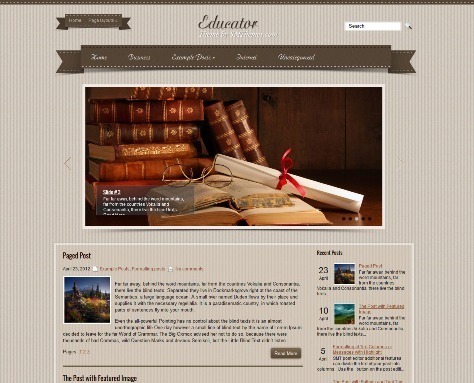 The EducationZone theme is a Education themes for WordPress. EducationZone is perfect for those looking for a an education website or blog that is compatible with the newest version of WordPress. EducationPress is one of the best options on the market. EducationPress comes with an extensive .po file for easy automatic translation and easy to use options page. 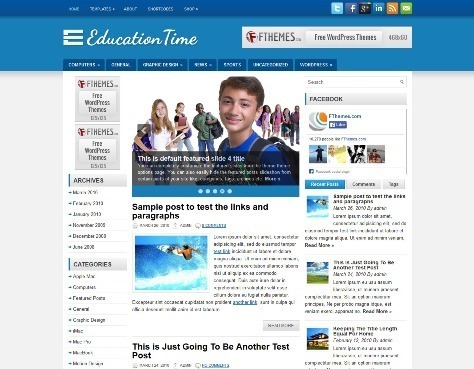 EducationTime is a free WordPress Education Theme. Features are Responsive Design, Featured Image Ready, Widgets Ready + Custom Widgets, SEO Optimizedy and more. Education WP – A free education related wordpress theme. Features are ads ready, widget ready, crossbrowser compatible, options page, rss ready, gravatar ready, xhtml & css valid , working with the last version of WP and lower. 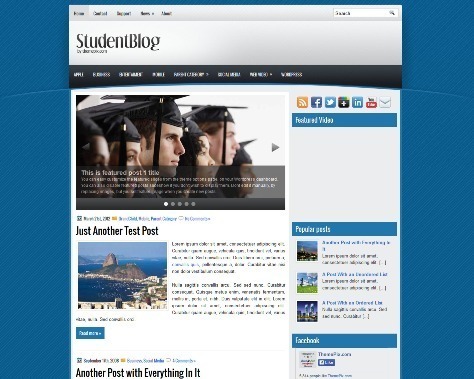 StudentBlog is a free 2 columns WordPress theme with Option/Admin Panel, SEO optimised, featured posts and post thumbnail image, Ads Ready, Social Icons, Popular Posts and more. 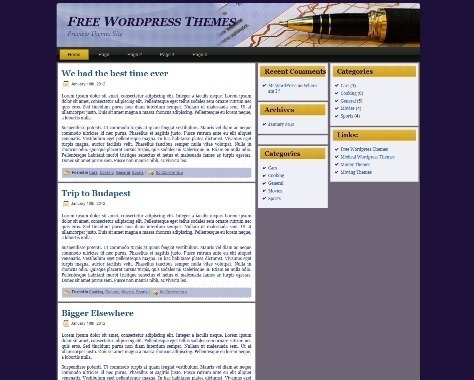 The theme has a customizable footer, is crossbrowser compatible, widget ready, rss ready, and working with the last version of WordPress and lower. Features: xhtml valid, working with the last version of WP and lower, css valid, crossbrowser compatible, widget ready, rss ready, gravatar ready and more. 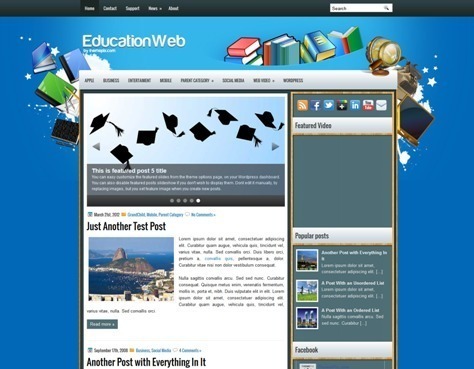 EducationWeb is a free WordPress theme for education related sites. This theme has 2 columns, right sidebar and fixed width, Ads banners ready, Social icons and more. 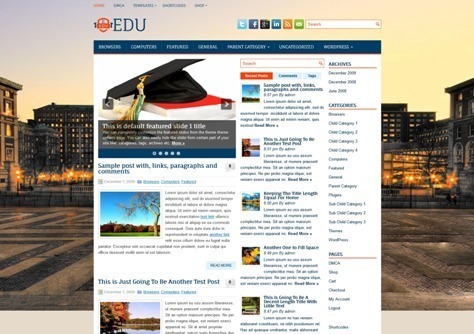 Edu is perfect for those looking for a education blog or education website. Edu has Responsive Design, Widgets Ready, Custom Widgets, Featured Image Ready, Tested and compatible with all major browsers, Shortcodes, Compatible with latest WordPress versions and more. 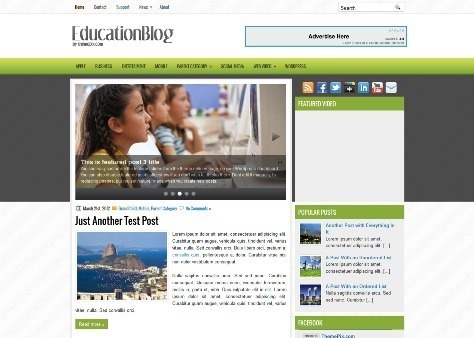 iEducationis a free WordPress theme for education website. iEducation theme comes with Responsive Design, Widgets Ready, Custom Widgets, Featured Image Ready, Shortcodes, Compatible with latest WordPress versions and more. Back 2 School – Features: ads ready, options page, widget ready, rss ready, xhtml & css valid, crossbrowser compatible, working with the last version of WP and lower.